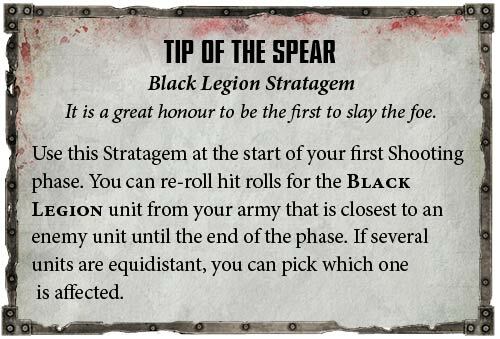 Lots of new infos from GW about the Black legion ! 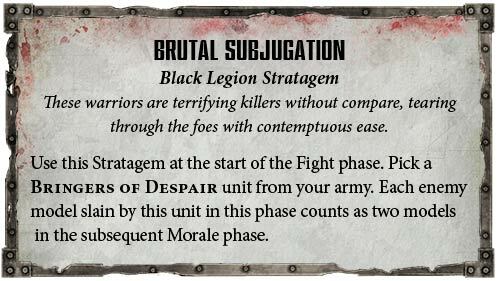 Abaddon is rarely seen without his loyal Terminator-armoured bodyguard, drawn from the very deadliest fighters within the Black Legion. 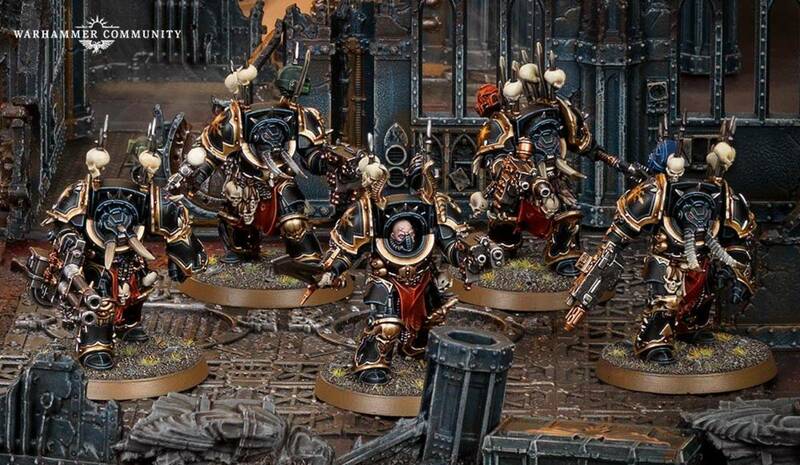 If you’re picking up Abaddon, it’d almost be rude not to grab a bunch of Terminators to represent the Bringers of Despair as well. 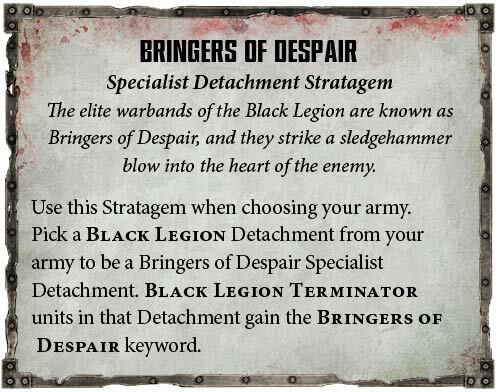 If that isn’t reason enough, Vigilus Ablaze introduces a Specialist Detachment that will really help you get the most of Abaddon’s elite Terminators. 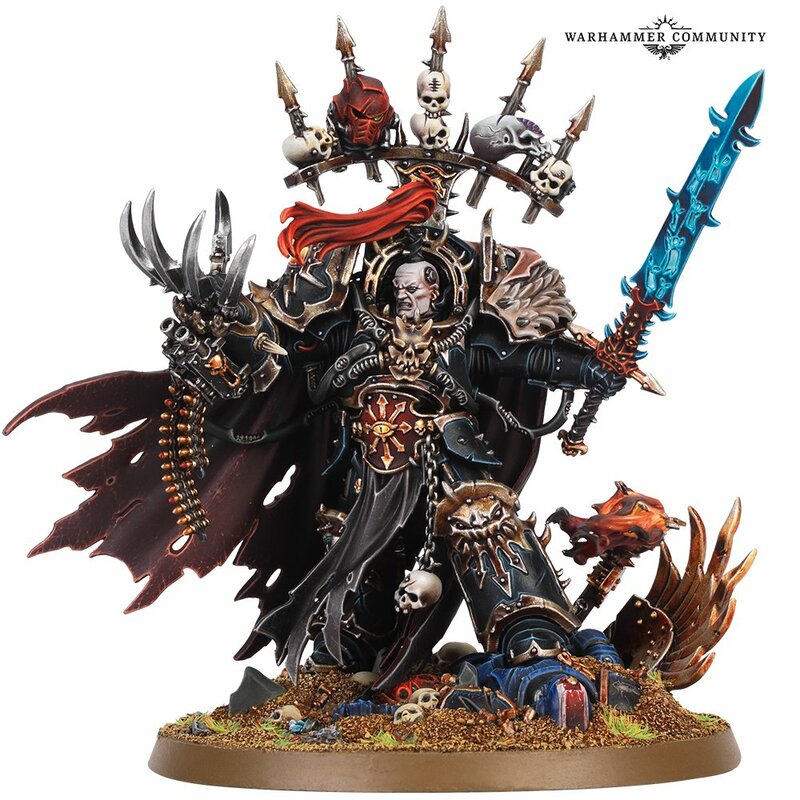 Despite having power far beyond the Black Legion, Abaddon is still, first and foremost, their supreme commander. 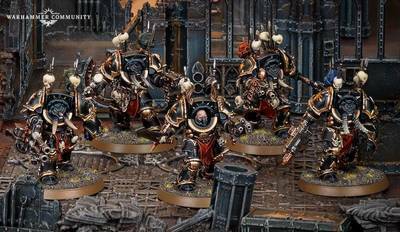 With his astonishing new model on its way very soon, what more excuse do you need to include the big bad ‘un himself? 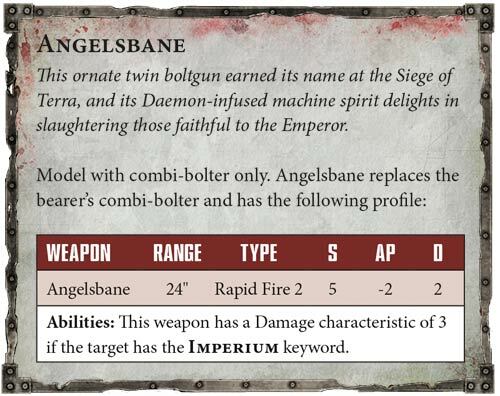 Of course, to do justice to the imposing size of the new Abaddon model, Vigilus Ablaze has an updated profile worthy of the mighty Warmaster.